Click groups of the Simpson icons on the tiles to make them disappear. It is a lot like Majong with a few twists. 1) Click on groups of the same Simpsons Pictures. 2) The simpson tiles will be removed, they will then show the tile below or a gap if it was the bottom tile that you removed. 3) If a gap is made by removing the bottom tile the surrounding tiles drop down to fill it. 4) Tiles that drop into the game are automatically checked again. Any combos found earn you points and bombs to use later in the game. 5) Once you run out of moves a bomb icon appears on your cursor. When the icon is over the mouse you can click on any tile to remove it. You bomb count is on the left hand side of the screen. If you want to play Tiles of The Simpsons games online you have come to the right place! GamesLoon adds new Tiles of The Simpsons games every week. This is your game portal where you can find the biggest collection of free Tiles of The Simpsons games online. 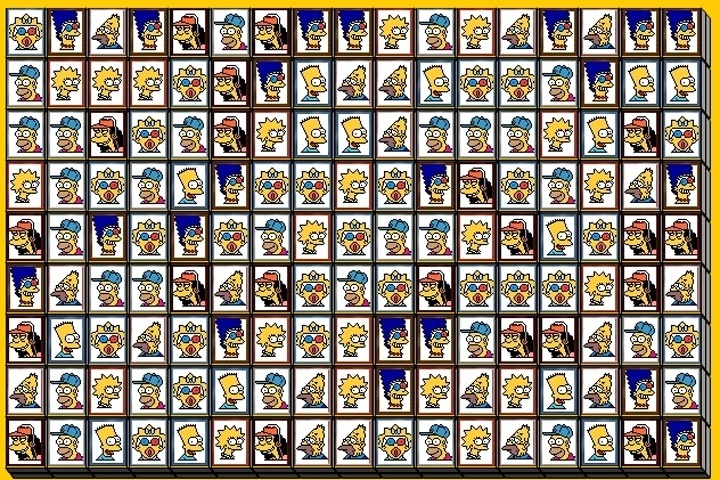 Do not forget to rate our Tiles of The Simpsons free online games while playing!